Nicolas Saada’s first feature-length film Espion(s) is a gripping suspense thriller in the tradition of directors that are inspired by Alfred Hitchcock, which includes Roman Polanski, Brian De Palma and Claude Chabrol, as the film includes its McGuffin, the wrong man, and a portrait of a world-weary society. The film begins at night-time at an airport as a couple of baggage inspectors, one who is reading Bettelheim’s The Informed Heart, pluck through an inviolable Syrian-diplomat’s bag. One of them discovers a bottle of cologne, sprays it on himself, which ends up carrying Nitromethane, so it burns his skin and when he drops the bottle, it explodes. He is set on fire, and he dies at the hospital. The other guy, Vincent (Guillaume Canet) has shaggy hair, a beard, workman clothes, and we learn that he used to be a really bright student, “I never had a long-term plan”. He gets fired as his boss discovered that they were stealing, he is possibly facing jail time. The anti-terrorism organization DST approaches him to cooperate to find the real criminals, they hire Vincent as an agent and he is off to London. Vincent makes his way around London quite gracefully, as the film seamlessly goes from English to French, in the city of the Big Ben, the Millennium Wheel, the Burlington Arcade, and a rising immigration population. Vincent is working with M. Palmer (Stephen Rea) for the MI5 to help them apprehend this guy Peter Burton (Vincent Regan) who with Malik (Alexander Siddig) are bringing illegal explosive chemicals to Europe, and to actually infiltrate them, Vincent will have to befriend Peter’s French wife, Claire (Geraldine Pailhas). What stands out in this conventional story of espionage are the social-realities that are brought up, the taut moments of suspense, the charming romance, and the mise-en-scene. Vincent’s cover-up is that of a doctor who works for an NGO and the news-footage he watches are of over-burdened doctors in Africa fighting AIDS and the tragedy of Darfur, while for Claire it involves living with the guilt of her ex-husbands suicide and the tristesse of not being able to see her children. The suspense comes from long searches for people and an impressive example takes place in the London Underground Station. While the mise-en-scene contributes to the mood and atmosphere of the film, for example, as when in a museum Vincent and Claire look up at a Pre-Raphaelite painting of an elegantly posed, though melancholy women. The parallels between Claire and the painting, memories of a gift she earlier received, and allusion to Kim Novak in Vertigo (1958) all contribute to a striking moment. 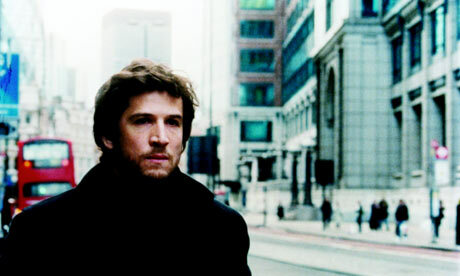 Guillaume Canet who has acted in numerous French films and directed Tell No One (2006) is great as Vincent because his sorrowful mug encapsulates a tucked away melancholy and regret, or it can also be exuberant, fun and charming. While his physical characteristics are similar to the Edgar Ramirez type from Olivier Assayas’ Carlos (2010). The cinematography, by the director of photography Stephane Fontaine, preference is naturalistic as he films people as they are, with stylistic touches that include filming through windows, shifting focal planes, tracking shots, and steady-cam shots. The rhythm and impact of a scene comes across through its editing. In one of my favorite scenes in the film, Vincent switches channels from watching a zebra documentary to Frank Sinatra playing drums in Otto Preminger’s The Man With The Golden Arm (1955; one of the great Beat movies). Nicolas Saada, who wrote in Cahiers du Cinema in the 1980s (to hear his more recent comments visit Dave Kehr’s website), knows what to do to make a captivating and entertaining film. Espion(s) is a real pleasure. *****Espion(s) came out January, 2009 in France and is now online In Competition at My French Film Festival, Jan. 14th - 29th 2011. In Toronto, the film is available to rent at Queen and Suspect Video.